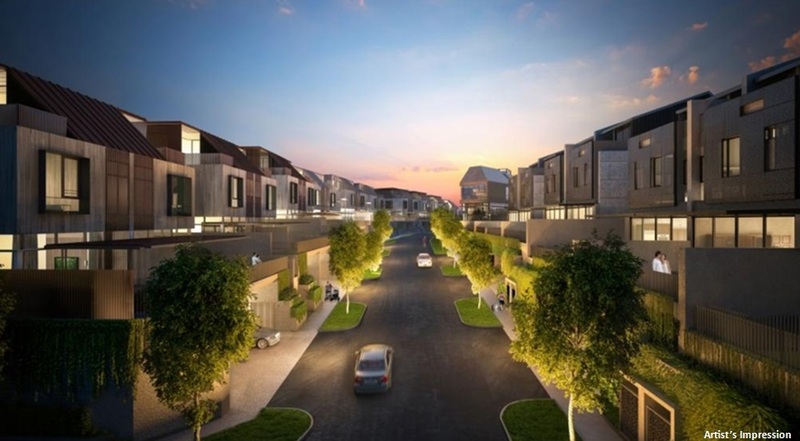 Victoria Park Villas will soon join the prestigious District 10 exclusive 'Residential Club' for aspiring home owners. The project is targeted to launch sometime between June or July this year and is expected to be ready for occupation by end 2018. Victoria Park Villas, CapitaLand’s landed project comes with a plot area of 403,008 sq ft. and is sited in District 10, Singapore’s most coveted district. The semi detached houses and bungalows will feature between 3 to 5 bedrooms with a basement and an attic. Victoria Park Villas can be accessed via Bukit Timah Road, Farrer Road and the Pan Island Expressway or you can hit the rails via Farrer MRT station and the Tan Kah Kee MRT station. Come to think of it, District 10 is the 'home-run' for residential housing in Singapore. It is the home base of every housing types - posh and swanky high rise apartments, stately colonial bungalows with modern trappings, elegant and opulent GCBs (good class bungalows) and rows and rows of landed homes and terraces set in tranquil estates - everything that denotes the good life and the art of living in the country. District 10 and its vicinity is also home to the rich and famous - think Jet Li, the superstar who bought a $20M bungalow in Binjai Rise, or more recently Sun Tongyu, the co-founder of Alibaba who splurged out a cool $51M for the penthouse in La Nouvel in 2015. In the vicinity of Victoria Park Villas are some of the finest educational institutions, amongst them, Anglo-Chinese School (Barker Road), Singapore Chinese Girls' School, Raffles Girls' Primary School, Hwa Chong Institution, National Junior College and Saint Joseph's Institution. Schools where parents are willing to shell out a pretty penny, like for instance, relocating and purchasing a home nearby it. Bukit Timah Nature Reserve is a favourite amongst nature lovers. Bukit Timah Hill at 164 metre is Singapore's tallest hill. Singapore Botanic Gardens is home to an array of botanical and horticultural collection with historical, as well as global significance. Holland Village is popular with foodies, both locals and foreigners alike. The famous Orchard Road Shopping Belt needs little introduction. A host of Embassies - US Embassy, British High Commission, Australia High Commission, Japan Embassy, Russian Embassy, Indonesian Embassy. Prestigious Clubs - American Club and Tanglin Club. Medical Facilities - Mount Elizabeth Hospital, Glen Eagles Hospital, Camden Medical Centre and Paragon Medical Centre, etc. Are you ready? Reserved a spot for the VVIP preview here. 1. Supply of landed homes in District 10 is limited. 2. 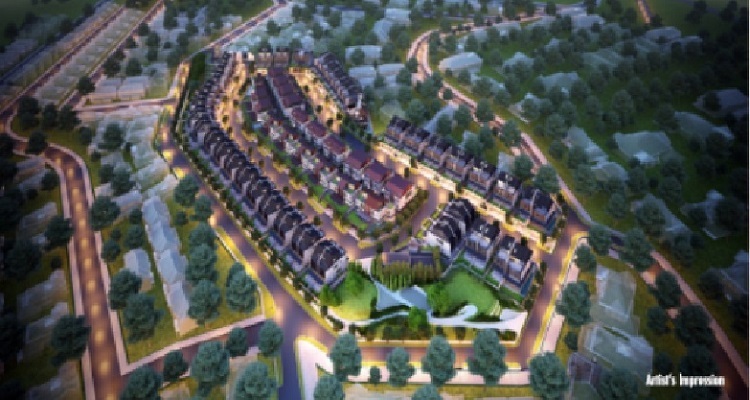 Victoria Park Villas is well connected by an efficient network of roads and rail - such as the PIE, the Farrer MRT station or Tan Kah Kee MRT station. 3. Many famous and elite schools abound within its vicinity - Hwa Chong Institution, National Junior College and the likes. 4. The Bukit Timah residential region is largely surrounded by landed homes and parks which contribute hugely to its peaceful and tranquil ambience. 5. It's within quick reach to all the amenities in Orchard Road - about 15 minutes by car. CapitaLand, a giant in the local property scene, has clinched a number of international and national awards, the latest being The Interlace. CapitaLand is committed to a programme of pursuing environmental excellence and Green builder-ship. It was listed among the Global 100 Most Sustainable Corporations in the World by Corporate Knights in 2012 and the year before, it garnered the prestigious Asia Pacific Green Builder of the Year Award.